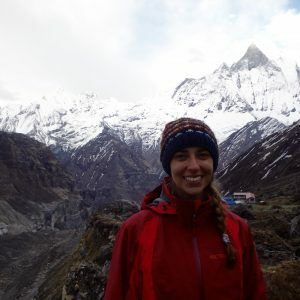 Aviva is a graduate student in the Master of Science in Global Health Program at McMaster University and has recently completed a BSc in Kinesiology from McGill University. Aviva has also spent time at the University of Queensland, Australia, as part of her undergraduate coursework and at Manipal University, India, as part of her graduate coursework. Her research experience includes work in youth health promotion, medical quality improvement, as well as organ transplant ethics. She is interested in health system development and evaluation of clinical and community-based programs and through her Global Health program, she gained an interest in Aboriginal and remote health. Aviva completed her Global Health practicum at the Institute for Circumpolar Health Research. She is involved in mental health and integrative care research projects and programs.